Ellis & Estes are experts at what they do. They use their understanding of science, litigation, and the motives behind insurance policies and bad faith claims to effect the maximum award for their clients. I have worked with Daniel Estes, Esq. and cannot speak highly enough of his skill set as an attorney. Daniel Estes is not only a tenacious attorney but a brilliant one. He is the very best in the business and treats his customers as family. Daniel fought for me and my family when no one else would and in the end he got the financial results I never expected for my medical treatments as the insurance company we were up against we’re rude and careless. Thank you, Daniel, and God Bless you and your future endeavors. 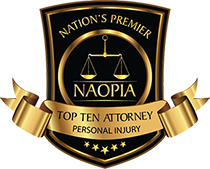 Need a great attorney? Make sure to contact Daniel Estes immediately. Daniel Estes helped me out after I was rear ended a year ago. The damage to my car was minor but about a week after I started having terrible headaches. I sought a chiropractor to help me. After about 3 weeks of treatment and no relief of my headaches I learned that the insurance company denied my claim because there was not enough damage to my car. Mr. Estes was recommended and I am so grateful he was because he helped me get a settlement from the insurance company and I wasn’t stuck with all the medical bills. Ellis & Estes has the knowledge and drive to help you when you need it. They did an amazing job for me!!! 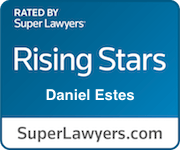 Daniel Estes is a superb attorney with a dynamite work ethic. Our case was extremely difficult – because of a pre-existing brain injury – Daniel handled our case professionally and we highly recommend him.